Every day we face some kind of frustration: flat tires, flooded basements, wounding words, a broken body, a troubled marriage—trouble comes in all shapes and sizes and can happen when we least expect it. While everyone struggles, few people have learned to struggle well. But it's not impossible! 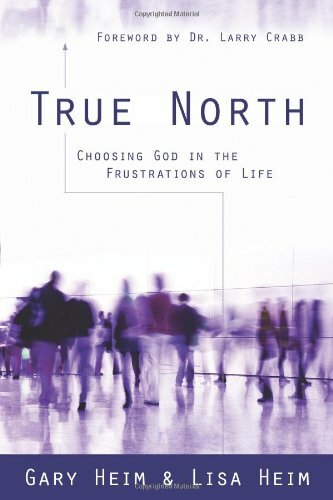 True North offers a unique, biblical paradigm that encourages readers to turn to God in the frustrations of life. Frustration often causes us to "go south." We grumble and grasp. God calls us to "go north" and respond to hardship with wisdom and redemptive love. 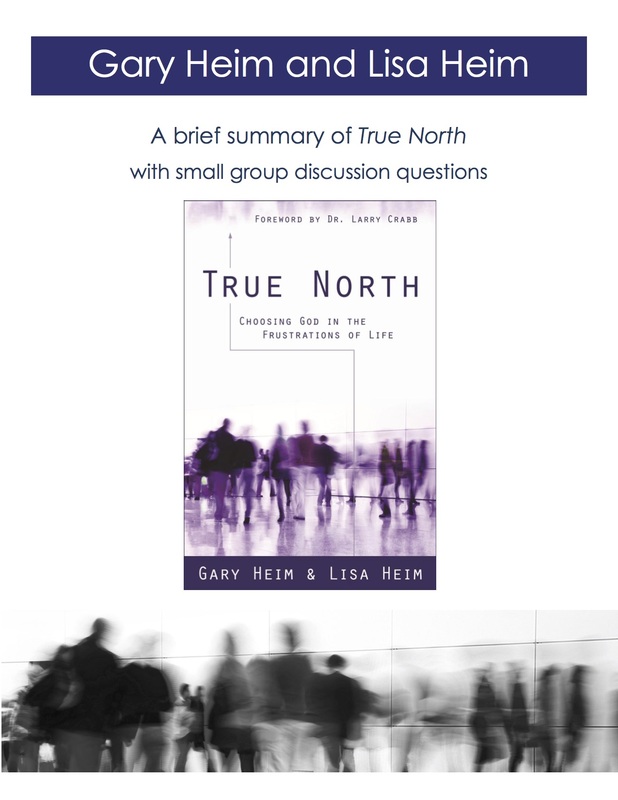 Combining biblical insight with personal stories, practical help, and compelling examples, True North will help readers turn from self-centered grumbling and grasping to Christ-centered gratitude and giving. Perfect for use in ministry settings or as a handbook for personal growth. True North will help you embark on the life-giving adventure of walking with God. Read other reviews on Amazon. — Dr. Larry Crabb Jr.
Gary is pastor of small groups and discipleship at Blythefield Hills Church in Rockford, Michigan where he has served for over twenty years. He is also a Limited Licensed Psychologist in the state of Michigan. Lisa is a Licensed Professional Counselor in the state of Michigan where she has had a private practice for the last twenty-five years. Gary and Lisa have been married for over 30 years and have two adult children. Together they speak, lead retreats, counsel and write to help people find their way through the struggles of life. let us come alongside of you. We have dedicated our lives to helping people work through the frustrations of life. Connect with us about leading your event, conference or retreat. We also offer professional help for individuals through counseling and life-coaching. Sign up with your email address to receive featured blog posts, news and upcoming events from True North Ministries.